A couple of of things to bring in spring. 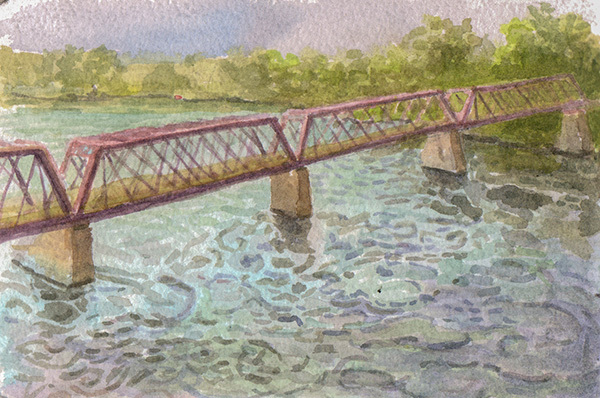 This is the Norwottuck Rail Trail bridge for cyclists and pedestrians across the Connecticut River, which I've done from other points of view before. This one is from the Calvin Coolidge bridge, which runs parallel to it and is for cars mainly, with a bit of sidewalk for walking on the side. As I stood on the bridge sketching this idyllic scene there was a perpetual traffic jam behind me, with horns, exhaust fumes, etc. 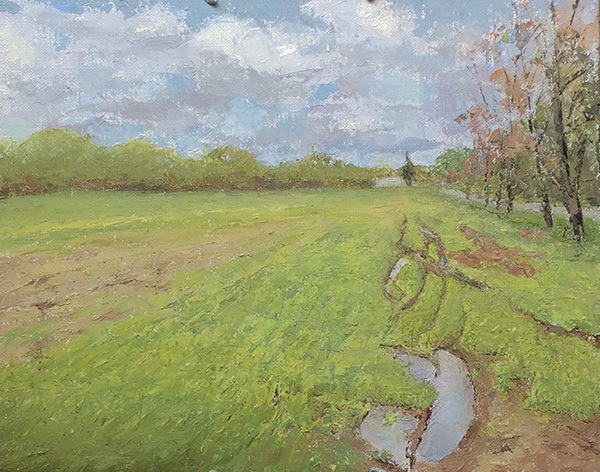 This is an oil painting of farmland with vernal puddles in the tractor ruts. I started it on site and finished in the studio.